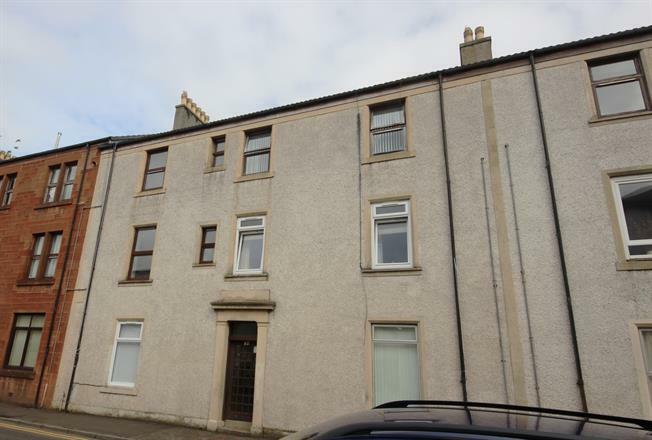 2 Bedroom Flat For Sale in Largs for Offers Over £50,000. Centrally located second floor traditional flat which is ideal as a first time buy, buy to let or holiday home. Well-maintained, viewing reveals: communal entrance with locking security door and buzzer entry system, stairs leading to the second floor landing(shared with only one other flat), inner reception hall, front facing lounge, separate rear facing kitchen with appliances, two bedrooms - master with built in wardrobes - bathroom with shower over the bath. Gas central heating and double glazing. Hill views from the rear facing apartments. Communal garden grounds.